You are currently browsing the archives for the tag 'glenn close'. 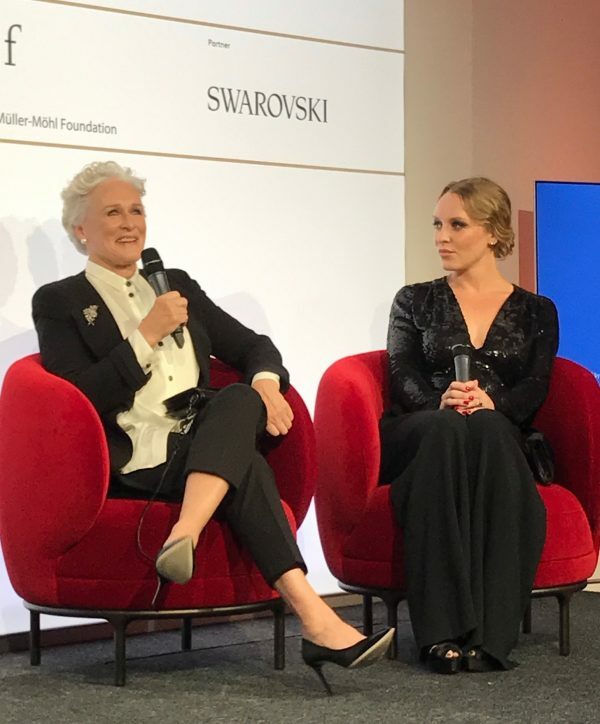 Last Sunday, I had a very interesting afternoon as guest of SWAROVSKI that made its debut with the «WOMEN OF IMPACT» discussion featuring Hollywood star Glenn Close, who had come to Switzerland that day to promote her new movie «THE WIFE» (in which the protagonist liberates herself from her husband) and to be honored with the Golden Icon Award at the 13th Zurich Film Festival. 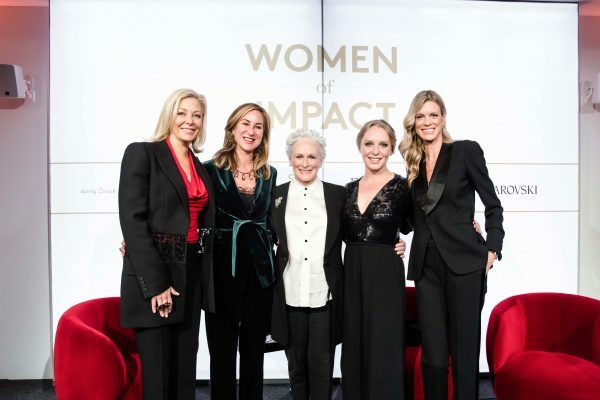 Women of impact from left to right: Nadja Swarovski, Carolina Müller-Möhl, Glenn Close, Annie Starke and Nadja Schildknecht. 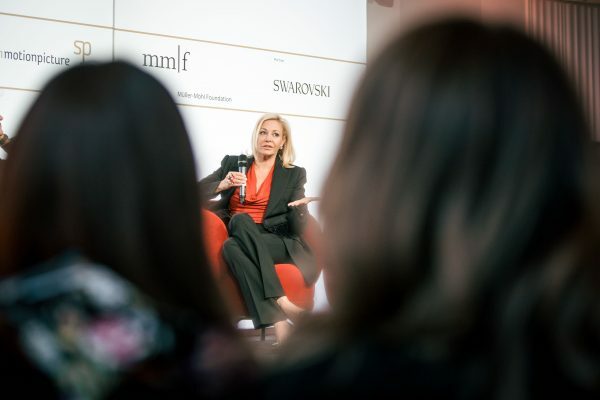 The famous actress joined her daughter Annie Starke (who also plays in the movie «THE WIFE»), Astrid von Stockar, and Member of the Swarovski Executive Board Nadja Swarovski for the «WOMEN OF IMPACT» talk, organized by the Müller-Möhl Foundation and Spoundation Motion Picture, that focused on the role of women in business and society, and women’s opportunities to create positive impact. Glenn Close with me on Sunday after the talk at the Zurich Film Festival Summit Dinner at Terrasse. Regarded as one of the most famous actresses of her generation, the Grand Dame of Hollywood has spent a successful 40 years working in the film business. Her roles in «FATAL ATTRACTION», «DANGEROUS LIAISONS» and, more recently, «ALBERT NOBBS» are unforgettable. But the multitalented Close is also a celebrated and successful screenwriter and producer with a total of highly respectable six Academy Award nominations to her name. Younger audiences will know Close for her award-winning portrayal in the TV series «DAMAGES». Swarovski strives to empower women across its value chain, from those who craft its products to those who wear them. The Swarovski Foundation partners with global charities to support programs that work with women on the ground, promoting their economic, social and political empowerment. Swarovski is also a signatory of the United Nations’ Women’s Empowerment Principles (WEPs), a set of principles for business offering guidance on how to empower women in the workplace, marketplace and community. How can you have impact as a woman? Nadja Swarovski: Knowledge is power. Nobody can strip you from that knowledge, wether this is through your education or experience. If you have that tool, you can have that positive impact in the world. Do you have a female quota at Swarovski? Nadja Swarovski: It is amazing how the company has changed over the last 30 years. At this moment now we are 70% female workers in the factories and the offices. But our customer base is 90% women in terms of sales purchasing or gift giving. 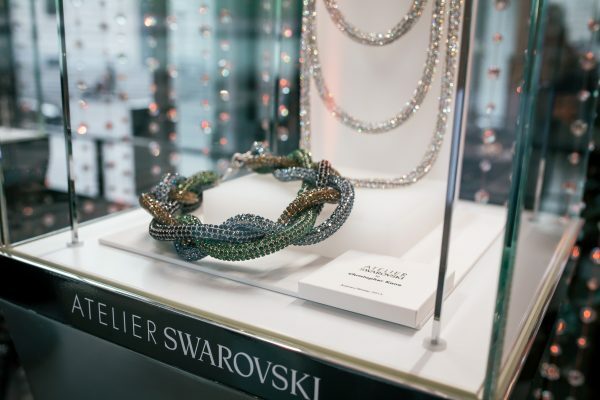 It helps Swarovski that we have so many female workers as they can identify themselves with the consumer in the end of the day and know what they would like to wear. This has all an impact on the product design, the marketing and more. You are the only female board member. Do you have a different style? Nadja Swarovski: I definitely have a different style. I am also half American which gives me another style. I am more outspoken than the Tyrolean girl. Moreover, I was also very blessed to be raised by a very kind father and grandfather. This shapes your attitude towards men differently in a more embracing way. In general, I am convinced that intelligent men do not feel threatened by women. They enjoy the collaboration. Nadja Swarovski: One advantage is certainly motherhood, that female point of you which a man can or cannot rely to. Why do you think Europe is still so far behind equality in the business field between men and women? Nadja Swarovski: I think American women consider themselves more equal to men. They have a deeper understanding of the human condition. My theory is that this is because Europe was suffering so much during World War II. The men were at war, the women were home. I think those roles between the fighter and the mother were so much more distinguished. We almost just growing out of it now. How did you experience your role in «The Wife»? 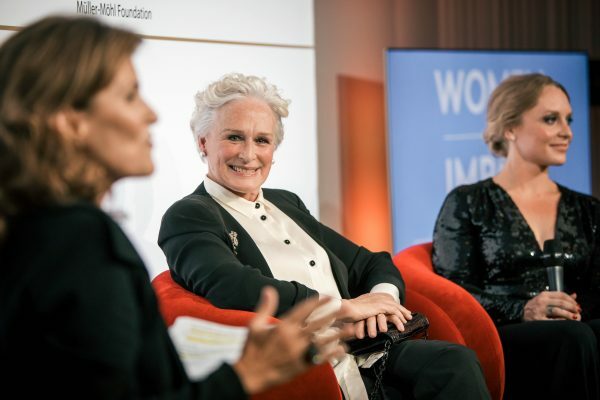 Glenn Close: It was a fascinating challenge to play a woman pre-feminism. My daughter Annie plays her in the ’50s. It basically is a movie for me about this complex relationship as marriage. It resonated with me. I think I never like to go over the same emotional territory just to keep myself interested and to stretch as an artist. So this was definitely new territory for me. Do you think that women of your generation have a different approach towards men? 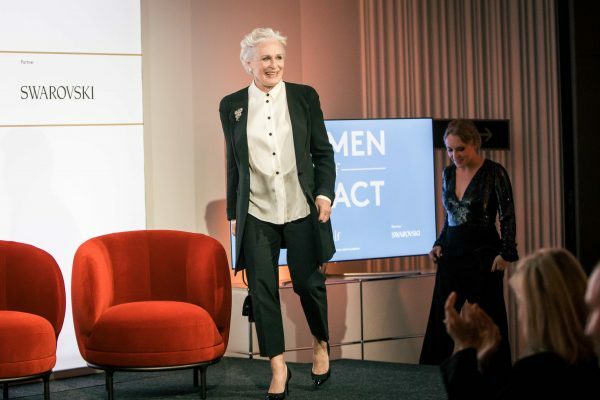 Glenn Close: I cannot speak for all women of my generation but I can speak personally. I think my first instinct, and I wasn’t disabused of it by my mother, was to confront a man with: «Who do you like me to be? I can be that!» And then all of a sudden you find yourself saying: «But I am not that person.» Either you have to do something about not being in a relationship anymore or if you are lucky, you have a relationship that can evolve with you. Women in the ’50s like my mother were expected to support their husbands. My dad was a brilliant doctor. My mother never went to college. They got married very young at the age of 18. She started to raise the children and never complaint. In the end of her life, she said that she feels like she never has accomplished anything. And we would always say: «But you raised us.» For me that was sad. She was an incredible women, had a library but my father never really supported her interests. Therefore I like the movie as it has great messages for both, men and women. Is it true that behind every great man, there is always a greater woman? 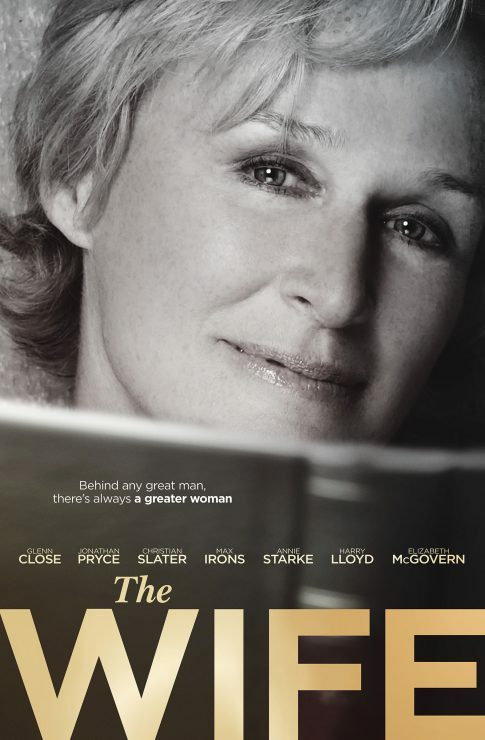 Glenn Close: Yes, I think probably men do better when they have a great support by a woman. Do you think that being with somebody in your industry makes a relationship easier? Glenn Close: I dated both, and it didn’t work out. I dated civilians as I call them and actors. I think it is the personality, you cannot generalize. I see wonderful relationships within my industry that have lasted a long time and I am very envious. It can happen and it is wonderful when it happens. I look at my wonderful daughter and my future son-in-law who works in the financial business and who is extremely supportive to her. What would be your advice for a young actress? Glenn Close: You have this crazy belief that you will be able to live this dream. You have that engine that keeps you going and you have to get up and up and up. My theory is that it is not about how many times you fall down, it is how many times you get up! You have many choices to take. My advice is to be very subjective about what you think is good and be as true to that as you possibly can. I have always trusted that if I thought something was worth putting the time and energy in, that other people would feel the same way. It is deeply gratifying for me to achieve this award because it means that people agreed that the stories I have chosen to tell have been worth telling. It can be hard to get great roles at a certain age but you seem to be the opposite, why? 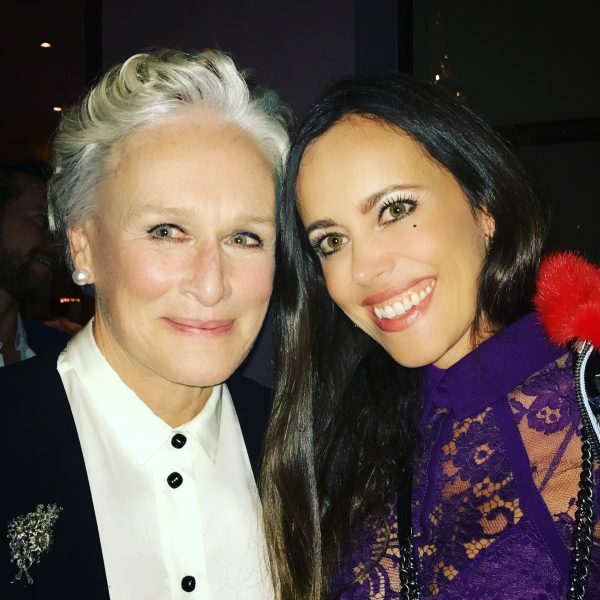 Glenn Close: I think maybe because I am always open to anything and I don’t have to have a certain paycheck to do something. After a while you hope of course for a good paycheck especially when your daughter is getting married (laughs). Thank you for having me! 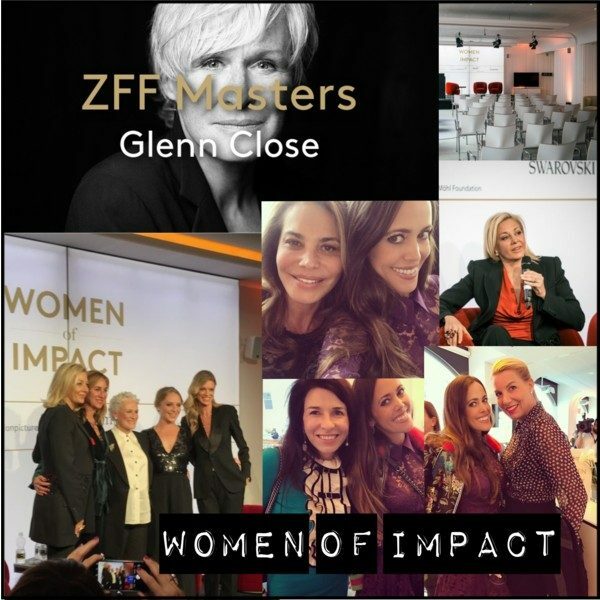 Let’s all become women of impact! Let’s start in our daily life with our children, family members and friends… if we make an impact in our close circle, we will already create a much better world. Give a smile to the people you meet on the street, already this makes a positive impact on others.